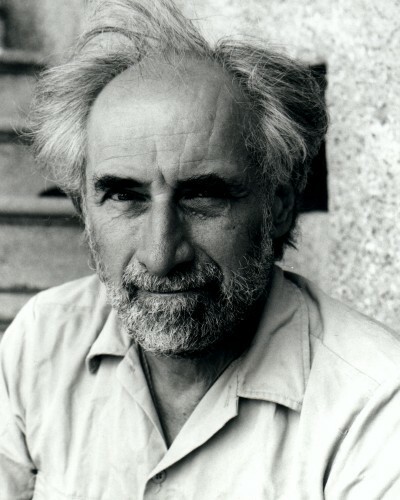 Frederic Rzewski Interview with Bruce Duffie . . . . . This conversation took place in Chicago in January of 1995. As with most of my interviews, its original destination was a radio program, and I'm very pleased that now it finds an additional life on this website. 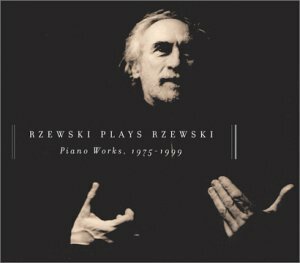 A brief biography of the composer/pianist appears at the end. Bruce Duffie: Thank you very much for allowing me to intrude on your space a bit. You're just in from Europe. Do you like globe-hopping? BD: Not even for your music? FR: [Takes a deep breath] Well, it's something that you have to do. The motto of the Hanseatic League is Navigare necesse est, vivere non est necesse. "It is necessary to sail; it is not necessary to live." I find that traveling, especially air travel, becomes cumulatively less easy to tolerate. It's like radiation - in fact, it is radiation, especially if you travel anywhere near the poles. BD: You say the motto is, "It is necessary to sail." Is it necessary to music? FR: [Laughs heartily] Well, that's another discussion that probably will never find an adequate answer. I don't know; it's the only thing I know how to do. BD: You both compose, and you teach. And you perform, so you're a triple threat. FR: [Chuckles] A triple threat, mm-hmm. FR: I don't travel that much and I don't teach that much; at least these last few years, I guess I've been pretty lucky. I get to spend quite a bit of time at home. BD: Where is home for you? Still Rome? FR: I'm living in Brussels now. I've been living in Europe for some time now and I have a family which is divided between the United States and Europe. I have two sons living in America, but I also have three children in Europe, so I'm trying to go back and forth between the two continents. BD: Does all of this globe-hopping eventually affect the music that winds up on the page? BD: You're a performer of both your music and of others' music. Are you a better composer because you're also a fine performer? FR: I'm not the right person to pass judgment on how good a composer I am. I don't think about it that much. But if, in your professional life you travel around a lot, as I do, I'm sure it must influence the character of your output in some way, especially the kind of thing that you do. For instance, I do a lot of improvising. I have a group with whom we play regularly - Musica Elettronica Viva (MEV), and our concerts mostly consist of improvised music because we live spread out and we don't come together that much. Besides which, improvisation was the thing that we mainly have done for 25 years. BD: The live interacting with the electronics? FR: Yes. Well, not just electronics, but including electronics. BD: Because the electronics can't improvise? FR: No. In fact, in a sense, most of the work is set up beforehand, so the improvisation is simply playing around with some kind of circuit that's been set up and is not that easy to change. BD: I'm almost horrified to think... are we eventually going to get an electronic brain that will be able to improvise with the input of the live (human) players? FR: That's probably true, although I'm not the right person to ask about that. I dabbled with electronics for a few years, but for all kinds of reasons I kind of gave it up, so I don't fool around with electronics that much anymore. But I am an interested bystander. The people who do the electronics in our group are Richard Teitelbaum and Alvin Curran, and sometimes we have other people like George Lewis, who's definitely a state-of-the-art person in this area. So I know something about it from what they tell me, but yes, that's probably going to happen pretty soon, I think. BD: Are we in danger of completely replacing the live performer with the electronic performer? FR: Well, to a certain extent that's happened already in many areas of music. But I don't see why live performance should ever disappear; after all, as long as there are humans, there are going to be people doing performances of various kinds. That's why people want to listen to music. They want to see what actually goes on in real time when a gifted performer, like an athlete or a chess player, is confronted with a problem that has to be solved instantaneously. This is an interesting thing to watch and to listen to. So why should it disappear? [Pauses for a moment and takes a deep breath] Personally, I'm not that interested in dabbling with gadgets because it's very time-consuming. I'm more interested in working with more traditional forms, like writing with pencil and paper. BD: Really? [Facetiously] How old-fashioned. BD: You said you don't like to fiddle around with gadgets. Is the piano not a gadget? BD: ...Cristofori stumbled on just the right set of things, originally, and it hasn't needed the improvements so much. FR: I don't think so. Certain things were done in the 18th and 19th centuries which improved its efficiency in some ways, but really, in the last hundred years it hasn't changed that much. So it's kind of a perfect machine, I think. BD: If that's a perfect machine, is there any such thing as a perfect music? FR: I really don't know what that means. What does it mean to you? BD: I don't know; that's why I'm asking if there is such a thing. FR: [Thinks for a moment] I've never really thought of the question. [laughs] I doubt it. I doubt it. BD: When you're writing a piece, are you looking for or seeking a specific or a non-specific, or are you seeking an unattainable? FR: It depends on the piece. I think it's difficult to generalize about composition in general; it depends very much on specific circumstances, at least for me. I find it difficult to write music in a vacuum. It always helps to know for whom you are writing and what kind of thing in general you are trying to do. All of these practical considerations are very important; they provide a framework on which to hang your ideas. BD: But once the piece is launched, it doesn't always have to be performed by that person for whom it was written. FR: No, of course not. One of the interesting things about the art of writing in general - not just music, but you could say the same thing about writing words - one of the interesting things about this discipline is the possibility of expressing ideas in a very specific form, notating ideas very precisely, but at the same time in such a way that allows for a variety of possible interpretations, all of which may be equally interesting. Beethoven was a master of this approach to writing. He fussed and fidgeted over little details, as we know, but at the same time, as we also know, the result is open to many possible, and quite different, interpretations. For instance, in the Hammerklavier Sonata, there's that famous A-sharp in the first movement, just before the recapitulation. Maybe this is a little bit too abstruse for the radio listeners, but it's one of these famous places that people are still arguing about. Did Beethoven mean this note to be an A-sharp? An A-sharp doesn't seem natural, or is it really an A natural, and he forgot to put in the natural sign. BD: I would think the thing to do would be to try it both ways and see which is better. FR: Well, that's what happens, in fact. Pianists are more or less equal. I think most pianists would go for the A natural because it's a more kind of conventional solution, but there are significant numbers of people who think that it should be an A-sharp. So these are things where there will never be agreement. BD: When you're writing a piece, do you make sure that there are no points of disagreement, at least on what you have notated? FR: Well, I don't try to set up enigmatic situations which will baffle people. I try to express whatever idea it is in a rational form! I don't try to make puzzles, but, at the same time, I think it's interesting to put down your ideas in a way that may allow for not only a variety of possible readings at one time, but which may lead to other creative interpretations in the future which you can't really foresee. This is what makes writing interesting. BD: So you encourage people, then, to find new things in your music? FR: Yes. For instance, in piano music, I often leave spaces for improvised cadenzas. BD: But in something that's strictly notated, how far is too far? FR: How far is too far of what? BD: From what you've actually written. How much interpretation do you want, and then how far afield can that go? FR: Yes. Yes. Yes. The beauty of classical notation is that it can be very ambiguous. So there are continuously changing points of view about how many of these classical texts should be read, should be played and heard, and these things go on and on, and probably will go on forever. One of the reasons why this music continues to live is that it presents constantly new openings for successive generations of interpreters. BD: You say you write with a specific performer in mind whenever you can; do you have the audience in mind that will be listening to the music? FR: I've thought about that question a great deal and I've asked myself who am I writing for. Am I writing for a concert audience in a concert hall? Am I writing for a recording audience, somebody who's listening to records in their living room? Or a radio audience? Who am I writing for? It's a difficult question to answer because, of course, it may be different with each different piece, but I've more or less decided that in the case of, say, piano music - being a pianist myself, I have a special relationship to this instrument - and I've more or less decided that in the case of piano music, I'm really writing for other pianists. Then it's up to them to translate the information into a form which is communicated to the listener, whoever that may be and in whatever circumstances that may be, whether it's recording or a live performance. BD: But that puts you one more step removed from the audience. FR: Yes. Yes, but in a way I feel more secure that way, because at least I know who it is, or I have a concrete idea of the destination of these strange black and white .marks on pieces of paper. It seems kind of funny, but at the same time this business of writing music is such an abstract and iffy kind of activity. It's so fragile and precarious that you have to hang onto something. Otherwise you run a serious risk of really becoming removed from reality, and this happens, I think, fairly often in the case of composers. You're spending a lot of time alone in a room dealing with some problem for which you may never find a solution. And you don't get reliable feedback right away, if at all. You might have people telling you you're doing a good job or you're not doing a good job, or you're doing it right, or you're not doing it right, but you can't believe these people. BD: Whom should you believe? FR: Well, that's a very delicate question! You have to be aware that there are certain professional hazards involved, just as there are in any kind of work. Truck drivers get kidney disease, people who work with computers a lot get carpal tunnel syndrome, and composers run the risk of ending in the loony bin. [Chuckles] And some of them do, as we know. So it's good to be aware of these. And there are certain things that you can do to protect yourself against that kind of disorder, and I think it helps a great deal to formulate some kind of a clear image of what is going to happen to this work in the end. It's difficult to do, and sometimes it's a little crazy. BD: When you're writing your ideas down on the paper, are you always in control of where the pencil goes, or are there times when the pencil leads your hand along the page? FR: I have experimented quite a bit these last, maybe, six or seven years, with various kinds of techniques of spontaneous writing. Now that's something that is fairly common in other art forms like painting and poetry, and throughout the 20th century we have things like stream-of-consciousness techniques in writing; the Surrealists worked a great deal with such techniques in the 1930s; the painters, also. But in music this has not been very widespread and it's something that I've gotten interested in in recent years. 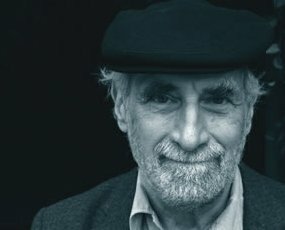 I use certain techniques basically for turning off the various kinds of interior censorship that goes on in the brain, ways of letting ideas flow out, as you say, without worrying about whether they are the right ones or the wrong ones. And this is not easy. It's not easy to turn off the mechanisms that exist in the brain which tend to inhibit the expression of certain loony ideas that may appear. You need some kind of yoga or mental discipline for allowing these things to happen, and ensuring, somehow, that something worthwhile appears; that it's not just a waste of time, or some kind of self-indulgent and ultimately self-defeating waste of time! This is not easy to do. Recently I've been trying basically to do what Stravinsky described - composition as being improvisation with a pencil, which is an extremely lucid and concise way of defining this activity. And in fact, this observation is very interesting, because it describes not so much something that already exists, as something that perhaps might exist in the future. But it has not been done very much in music. BD: Now you're working with this and you tinker with it and you get all your improvisations in and you figure out that this what you want and that is what you want. How do you know when it's done and ready to be launched? FR: I think different composers have their own ways. There's no general way. Of course, I can only speak for myself, and what I've noticed in my own work is that it's better not to have too clear an idea of the final form too early on. It's better to let it evolve, perhaps in entirely unexpected ways. I find the most satisfying case is when the form only becomes clear at the end. BD: If the form only becomes clear to you at the end so that you can look at it, is that form clear to the person who's listening to it at the beginning, or does the listener also have to wait till the end to understand it? FR: Well, of course, that's something else. You can't know that. You write a piece and it's usually a good sign if you don't know if it's any good or not. If you think you know, it's not very good because probably you're wrong. I shouldn't say "you", I should say "I." When I've finished a piece and I think, "Oh, this is a good piece, this is going to be very good and people are going to like it," and so on and so forth, I'm usually deceiving myself. BD: So should you make sure that you think, "Oh, this is garbage," so that you're deceiving yourself and it is wonderful? FR: No, no. If I think it's garbage, then I just put it in a drawer and forget about it and do something else. In my experience, the things that have turned out the most successfully are those things which, at the moment that I've done them and perhaps for some time afterwards, I really don't know, I really can't say whether it's any good or whether it is garbage. BD: Do you eventually find that you're able to say? FR: Well, that depends! That depends if the music is performed and you get a chance to play it for people. BD: Who should say? Should it be you that would say, or the public, or the critics, or the historians? Or anybody? FR: [Thinks for a moment, inhaling and exhaling deeply] Maybe nobody. After all, there are so many cases of pieces of music that everyone universally agrees are very good pieces of music, but very few people actually want to hear them. The late quartets of Beethoven might be a case in point. Or The Art of the Fugue of Bach. Or practically all of Schoenberg. BD: Are we delving, then, into the differentiation between an entertainment value and an artistic merit? FR: No, but there you go. How can you know? The best thing is not to worry about it too much because it might be an unproductive pursuit. I certainly have had this experience, and I'm sure most composers have had it, to have written pieces which they are convinced are really good, but, on the other hand, nobody wants to play them and nobody wants to listen to them. I can't think of any good composers who haven't had this experience at least once in their lives with one of their pieces. The Art of the Fugue is a great piece of music, but it's difficult music. It's not something that you want to listen to every day. BD: Do you want to listen to your music every day? FR: Well, I can't avoid it! [Laughs] I have to. It's part of my job. BD: [Gently chastising] That's not the question. Do you want to? FR: No, not necessarily. There are times when I sit down to work because I have to. If it's a nice day I might prefer to go out bicycling or something, but I usually do my four hours or so of writing every day if I can. If I have the time and I can do it, I do it because I know from experience that if I don't do it it'll be that much harder if I skip a day or a week or whatever. It's that much harder to get back to it. And there are a lot of simple, practical questions involved. After all, if you're trying to be a professional composer, God knows it's difficult enough even if you are extremely disciplined, which I'm not. I've just learned by experience that if I don't observe some kind of discipline, it's a very precarious and fragile thing. At any moment there are seven hundred and forty-nine perfectly valid reasons for doing something else than writing music. You have letters to answer, you have your taxes to do, this, that and the other thing to do. FR: Yes. I have to fool myself sometimes and I have to use specious arguments. BD: In the end, though, is it all worth it? FR: I think so. Yes, I'm glad that I chose this line of work in spite of all the problems because it seems to have a value in and for itself. It's important if the work gets out, it's important if you get paid for it, it's important if the music is performed. All of these things are important, but even if these things don't happen, I still don't regret having spent the time in that way rather than in some other way. BD: That's good. We've kind of danced around it, so let me ask the question straight on: what is the purpose of music? FR: I don't think there is any one purpose for making music. Music has a variety of different purposes, and in some sense it eludes the question of purpose. Even people like Adorno have pointed out the purpose of music can, on one level, be its very purposelessness or ambiguity of its function. If there were no such thing, if there were a world in which everything had to have a purpose, then you have to invent some kind of activity which doesn't have a purpose, and that seems to be one possible function of music. It provides the possibility of a purposeless activity which seems to have a kind of utopian significance for people. Of course one reason for the ambiguity comes from the word itself because everyone seems to understand something different by this word. If you ask a random selection of people on the street what their idea of music is, you will get a very wide variety of answers. We're meeting, this evening, you and I, for the first time, and we presume that we mean the same thing when we talk about music, but probably, if we were going to have several hours together instead of just this short period of time, we would find that actually we mean quite different things, and perhaps we don't understand each other at all. BD: The commonality is in the portion of the literature that we're dealing with. What it means to each person, then, is individual. FR: When we use the word "music," I presume we're both talking about a lofty art form, something having to do with the European classical tradition. BD: No, we're talking about the music that you write, and the music that surrounds the music you write, in the venues that it's presented. So that limits it quite a bit in scope. FR: Yes, but that's our little definition of music. There are a lot of people around who would have no idea what we're talking about. BD: When I ask the purpose of music, then it becomes much more all-encompassing, of course. FR: I think in the case of serious written music in the European classical tradition, it's possible to identify several fairly specific purposes. For instance, the symphonic literature of the 19th century could be said to have a fairly narrow function, which might be the expression, in lofty terms, of the national soul. Much of the symphonic literature of late 19th century Europe seems to have this function. It provides an occasion for the national bourgeoisie to meet in one place, in a secular environment - the concert hall. The opera house is almost a kind of parliament. It's an occasion for bankers and lawyers and politicians and doctors and the national intelligentsia to meet in one place, to see each other, to talk to each other, and to feel, somehow, part of a common collective enterprise. BD: Are they aurally drinking from the same trough, then? FR: Well, I'm no musicologist and no music historian, but when I think of and imagine what performances at Bayreuth might have been during Wagner's lifetime, or similar events, it seems to me that these occasions are sort of symbolic moments in which influential elements of the newly born or the nation in the process of creation physically come together and participate in a common experience. BD: Are you trying to write music which will fit in to this tradition, or are you trying to create a new tradition for it? FR: I actually don't like this tradition at all. I don't identify with it and would gladly imagine something different, but, in a way, this is inescapable. BD: Would you rather have your music on a concert with all pieces written with your same kind of mindset, or on a mixed program that also has old European pieces? FR: I think all those things are possible. Actually the radio is a medium in which all of these things can be mixed much more easily than in a concert hall, because in a concert hall you are necessarily addressing yourself to a very limited and very specific sector of the listening public; a very demanding one, usually with very narrow tastes and a low level of tolerance for departures from the tradition. Whereas on the radio you are broadcasting, or sending information out which is available to anybody and everybody! FR: Well, yeah, that's a very interesting question of how this broadcasting idea could've gone in a quite a different direction. BD: You're in your mid-50s. Are you at the point in your career that you expect to be at this age? FR: Expect or expected? [Chuckles] There's a difference. BD: Then I'll pick one. Are you at the point in your career that you expect to be at age? FR: Gee. [Takes a deep breath] I really don't know. I haven't given the question a great deal of thought. What do you mean by it? BD: Are you happy with where you are in your profession? FR: Oh, I see what you mean. Well, basically yes. Mm-hmm. You know, composition is not really a profession. It used to be, perhaps, and for a small number of individuals it's possible for them to identify themselves as professional composers, but I think most composers, and especially the interesting ones, would have to admit that their livelihood is only partially provided by this activity. In most cases, professionally they do something else. They teach, or they play. This is certainly true in my case. Only about a third of my income comes from composing or activities directly related to it. BD: Are you saying that perhaps composers should be provided for, like back in the days of the royal courts? FR: I don't think there's any "should" because there's no agreement on what composition is and what these people are doing, or should be doing. I don't think anybody particularly cares. BD: So it's good, then, you have this immense diversity. FR: Well, I think it's good to be alive, and anything that will further that project is okay. In my case, I'm certainly glad that I play the piano. I'm a professional musician, a professional performer, and probably the biggest chunk of my income comes from playing the piano. I'm certainly glad this is the case, because it's not just a way of keeping my family alive, but more importantly, I think, it's a way of getting my music around. If I didn't play my own music, if I had to depend on other people, if I only wrote music and sat in a room and sent it out and hoped that other people would play it, I think I'd be in serious trouble. BD: I'm glad you have had so much success with your playing, and with your compositions. I wish you lots of continued success. FR: Thanks! I was happy to be with you. This interview was recorded in Chicago on January 19, 1995. Portions were used (along with recordings) on WNIB in 1998. This transcription was made and posted on this website in 2008.